What is legacy, the risks and how you can build on it? We explored the topic of legacy at our recent Next Generation event. Family business owners have a rich history which they can use as a template for their future narrative. Personal to the family, legacy is as much about the ability to reinvent themselves, as to endure the test of time. At a recent event hosted by Family Business United ('FBU') and PwC, a network of the next generation from family businesses across the country explored what legacy is, the risks legacy can pose, how you can build on it and how they’ve approached legacy in their family business. How legacy plays out is changing. 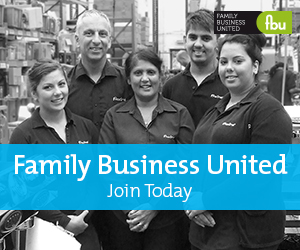 Whilst protecting the family business is a priority, what families want from it is evolving. Providing employment for family members is something only 14% of UK family businesses who participated in the recent PwC global family business survey are now focused on. Whilst they may not consider the business as an employment vehicle for the whole family, many are still looking to their next generation to secure their legacy with over half planning to pass the business onto them. Legacy is a story that needs to be told and retold many times but it’s important to keep adding another chapter. Legacy is how you are remembered as an individual, as a family and as a business. Purpose is what your business is for, values are how are you going to get there and what is going to get you there. Discussions arose around how next gen can drive change for the new chapter and how legacy can weigh on the shoulders of next gen as future custodians of the brand. Some described legacy as something to be remembered by when you’re gone while others described it as a word linked only to material success. It can be quite a difficult concept to think about when next gen are young and many find it a challenging conversation to raise. As a next gen, it can be a good idea to learn more about the family business at an early age to help continue the legacy, by talking regularly to other family members and starting open conversations about what you should be doing to get involved. Some of the next gen discussed setting up a family advisory board to focus on legacy and to discuss how the business should be seen in the community. Be proud of your heritage, showcase paintings of grandparents in your marketing assets, in the boardroom and make sure your history is documented. It’s important to use storytelling to tell the family story. Employees often feel part of the extended family and this can be a USP and good differentiator in terms of recruitment. Customers love stories relating to the family, they like the implied lack of corporate red tape and the agility in which they can operate. If the business carries the family name, using the family brand is so important. Legacy becomes one with the brand of the family itself, so it’s not only the business they’re carrying on, but the family’s identity as well. However, it’s important to remember that as the family name is intrinsically linked to legacy, if something bad happens, there will be damage to the family brand and a serious impact on legacy. Do you need to get your wrinkles before you have a voice? The concept of legacy is changing. It was always assumed you had to have outside experience before joining the family business and get your wrinkles before you had a voice. Many millennial next gen want to actively get involved in their family business at an early age and don’t see that outside work experience or the formal MBA route is the only way to go. Times are different and the younger generation have a unique understanding of new technology and a new generation of customers in the way that their parents and grandparents probably don’t. The role that the next gen can play around digital can’t be underestimated. The network talked of the pressure and history that they’ve grown up with and the expectation to be involved in the family business. It's important to understand that you don’t have to follow the same path as was previously trodden. When do you add the next chapter? What is the catalyst? Is it at next generation integration? When is it ok to say, it's time for a new tone? When can you start adding a new chapter? There are many chapters, not just one and different stages in your life mean different things. If you’re an owner but not in the business, do you even have a voice? It can be a struggle for individuals to disassociate with the family brand and some don’t realise they have the power to walk away. It is a choice but people can get paralysed by legacy. It can also blinker you commercially. As the market changes, it can be easy to follow the same road because the name represents that in the market. When the name isn’t above the door, there can often be a slight detachment. There’s also an increasing personal accountability and visibility given social media and it’s important to recognise and embrace both the upsides and downsides that this can bring. What happens to the family legacy when the business is sold? Legacy can become more complex when the family business is sold. Do you have an individual legacy once that business has been sold? When family wealth has been created, what are the responsibilities of being a custodian of that? It runs the risk of becoming more materialistic and no longer geared towards positive social impact. For example in a family office environment when the goals are to double assets in real terms every 30 years. The network queried the value of distant cousins working together just to make money when the shared heritage is no longer there. It is clear there remains the need to question what is your greater purpose and how can you maintain your social values. In summary legacy is something that should be at the heart of family businesses and discussed regularly. It may not always be an easy conversation but those businesses who incorporate it into their values will help shape the future growth of their company for the next generation.